Wide midfielder Josh began his career with Motherwell and in his final year at Fir Park, he was loaned out to Championship sides Airdrie United and Raith Rovers, making 17 appearances between them, also netting for the Diamonds. He then headed off to Iceland where he made an appearance for IA in the 2013 season, but was back on Scottish shores with a move to Stenhousemuir. While at Stenny he was loaned out to tenants East Stirlingshire. He had his first spell in Junior football in the 2015-16 season when he signed for Cumnock and was back there again on loan the following season after a brief move to Queen’s Park. Clydebank was his destination following his departure from Hampden and after a single season there, he moved to Bo’ness United as they embarked on their senior East of Scotland League adventure. 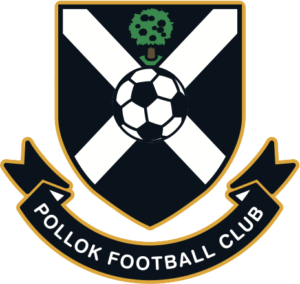 He signed for Pollok in November 2018, with Michael McMullin joining the BU as part of the deal. McCann brothers to return next season!